COMPLETE 2-3 sets of 20 repetitions daily for 1-2 weeks, particularly before weight training or riding. If it starts to get easy, add an ankle weight, or S-L-O-W down! When we ride, we’re asking a lot of our “core” — it has to keep our hips as balanced and relatively still while the legs move freely with crazy amounts of force. It also has to keep our upper body strong and supported as we pull up on the handlebars, push down, or alternate pushing and pulling (as in a sprint) — all to generate more power in the legs! NOTE TO BILL – We haven’t shot a video for this yet, but I am writing up a description and will update this shortly! COMPLETE 2-3 sets of 15 repetitions every other day for 1-2 weeks, particularly before weight training or riding. 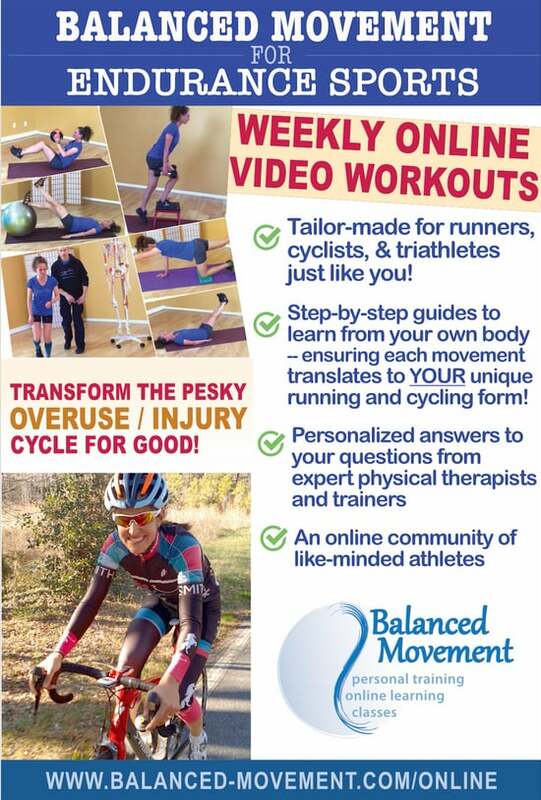 Goal #3: Increase lateral hip strength and begin to add some cycling elements! Single Leg Glute Med Drills: On a trainer, preferably in front of a mirror, unclip your right foot and rest it on a chair or rear of the bike so that you are left to pedal with only the left leg. With the bike in a low (easy) gear turn the crank at a moderate cadence, imagining the sensation of “glute med firing” that you feel when doing side-lying leg lifts. Slowly shift down the gears to increase the resistance. 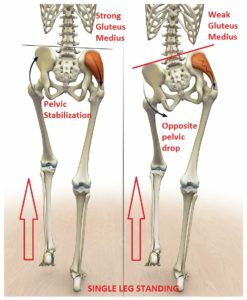 Pay attention to when you lose the sensation of the lateral hip musculature, and ideally look at yourself in the mirror to ensure your knee is traveling in line with your hip. Shift up and down the gears until you’re fatigued.